Virginia Baergen married Tim Good in 1990. They have one son, Matthew, and three daughters, Bethy, Krisha and Anita. 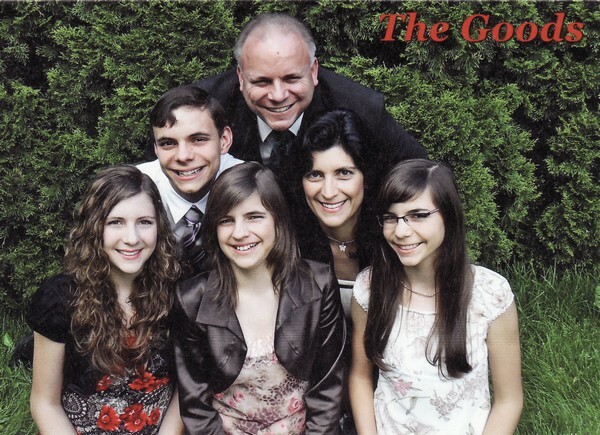 The Goods live in Poland where they serve the Lord as missionaries, seeking to win Polish young people for the Lord and disciple them.. Camp work takes up most of their summers and some of the cold Polish winters as well. Matthew has been studying at Word of Life Institute in Hungary while his three sisters study in local Polish schools.